I have been exploring watercolors intensely for the past few months. 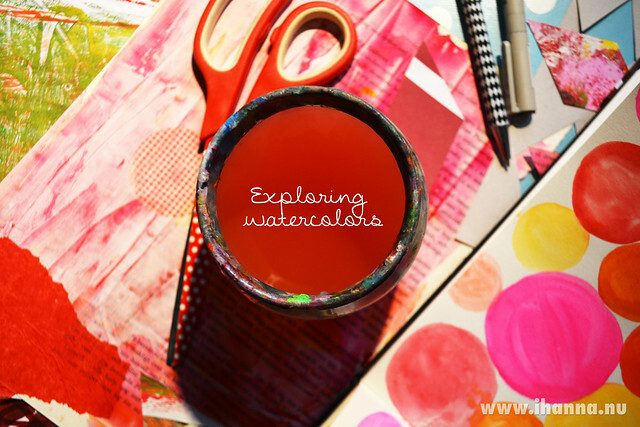 Or: exploring water colours if you will, my whole life. 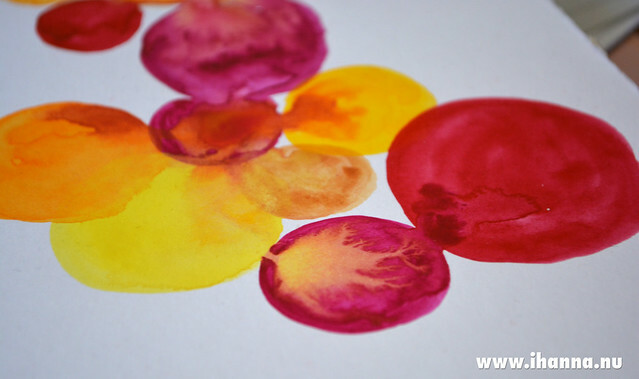 Watercolors have always been in my artistic toolbox, never far from my fingertips. Long before I opened up my first art journal or learned about acrylics, I owned a set of artist watercolors. And I have always loved them deeply, even though I used to use them like crayons – for coloring illustrations. Now – I’m exploring how they want to flow on their own, together, to the side, with the water droplets on the page… I’m falling in love all over again! Since I haven’t gone to Art School – I still have a lot to learn, and right now I’m learning by doing. Pushing paint around on a blank piece of paper. Learning as I go… And maybe we all have a lot to learn, all the time. The trick is to remember that learning is the beginning, the first step. So I keep my neon pink box close, most days. 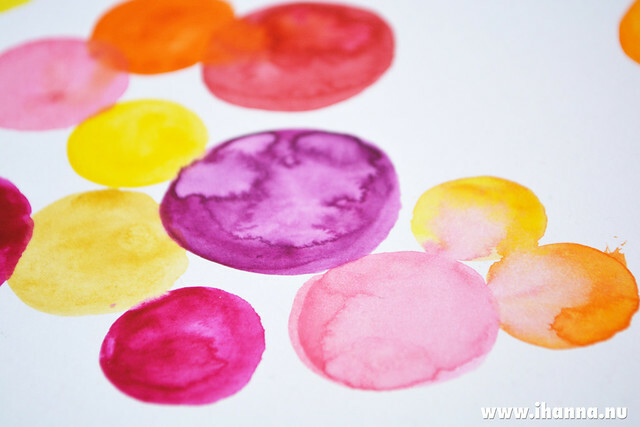 Watercolors are so easy to use, since you don’t have to worry about staining clothes or furniture. All you need is a bit of water, and your favorite paint brush and you’re ready to start exploring. You need no special knowledge, though it might help. For me, I find it is hard to stop, once you get going. I’m so used to fill the whole spread of each art journal page with colors, that I forget how beautiful the white in between is. Watercolor seams to stay more alive if you let it breath a bit. 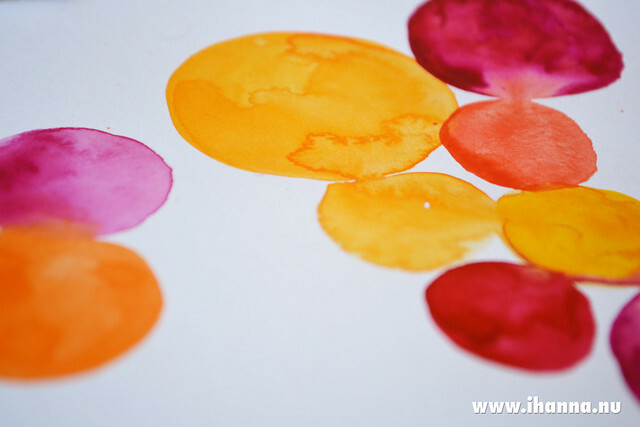 Watercolor seams to listen to your wishes and wants only when you concentrate and stay calm. It’s a bit like meditating. 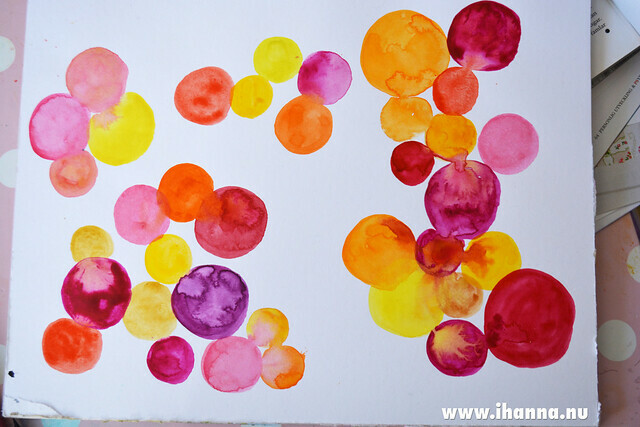 I’ve been exploring watercolors a whole life time, exploring colors, playing and learning and exploring. I don’t plan to ever stop. How about you? What are you exploring / diving into / learning about / loving and falling in love with / right now? Please do tell. 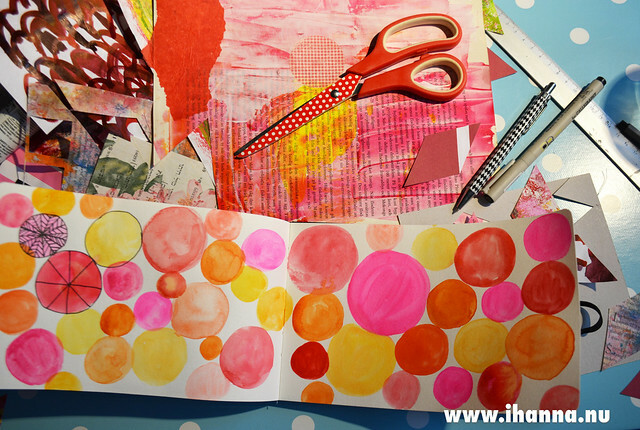 This entry was posted in A Creative Life, Art Experiments, Creative habits and tagged exploring colour, moleskine, watercolours. Bookmark the permalink. After a long time away from them, my threads and I are getting reacquainted. My latest exploration is in embroidery and stitching, “sew” much fun! I’ve actually been exploring watercolors recently as well! I haven’t used them in forever (think elementary school) so it’s fun to see what I can do with them as an artist. You know, I think you’ve captured the essence of watercolor in this post. You have to let go, let it flow and breath for it work. I’ve dabbled in watercolor for years, but never felt truly comfortable with it. I swear that it is because I’m such a controlled person and my fascination with watercolor is because it is the opposite of me and requires different skills. In my case, the benefit truly comes from the process and not the product.